Garlands and bunting have been a favorite of mine since I started following party blogs, but recently they seems to have branched out from the typical triangle pennant-style bunting into any shape or material you can gather onto string and I’m loving them even more! 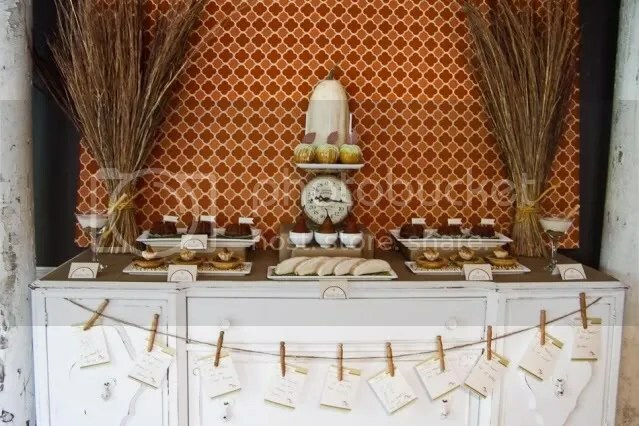 Just as I was starting the blog, I helped host a Detroit Tigers baby shower and used the standard triangle bunting to add quick style to a large mirror as well as several tables in the room. The pennant looking bunting worked perfectly with a baseball theme and I made them with scrapbook paper and string – so easy, quick and inexpensive! Changing out the triangles for circles, I love how modern this garland becomes! This next bunting would be so fantastic as part of any Thanksgiving dinner – have everyone write their note of thanks and pin it into the string with a waiting clothes pin. So personal and fitting! 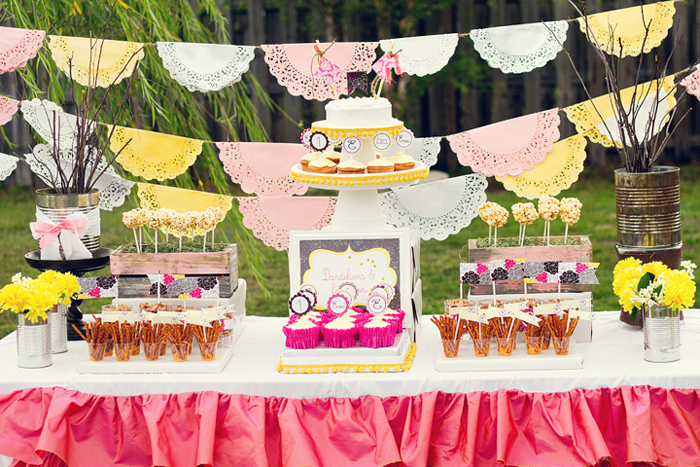 I love how this bunting, made by folding paper doilies over your string or ribbon, creates a feminine touch! I could possibly be slightly obsessed with the next item…bunting PLUS birds on a favor bag? Oh happy day, indeed! 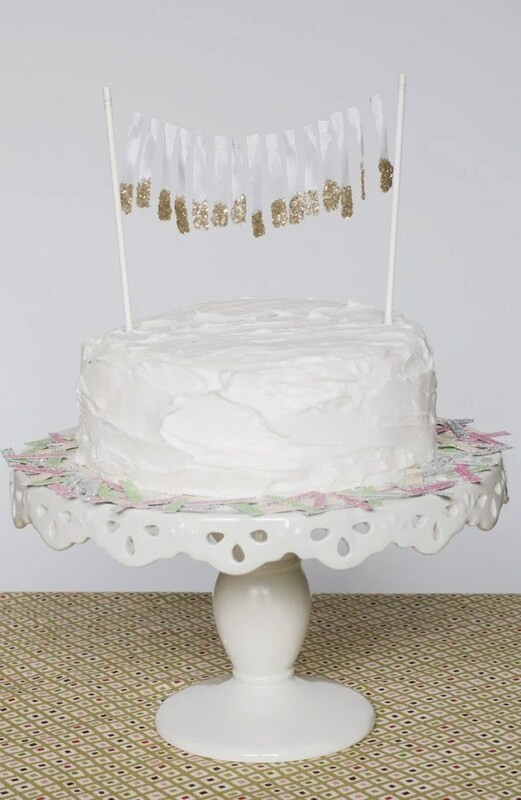 Mini buntings on cake have been popular, but this “dipped in glitter” version may be my favorite I’ve seen yet! 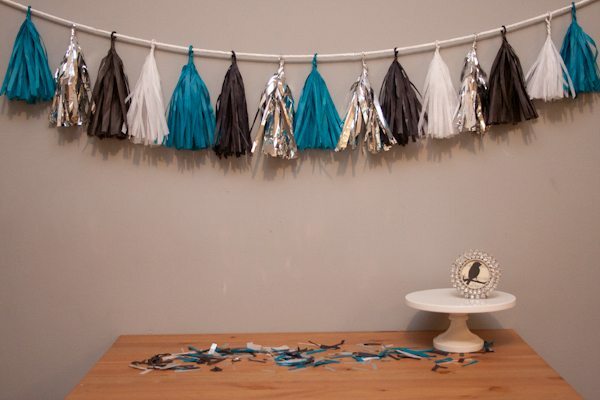 Tassel garlands have been making the rounds lately and I’m excited to try out this DIY version! This entry was posted in Crushworthy and tagged crafty. Bookmark the permalink.